Regarding legislation addressing predatory lending and regulatory practices. Joined by Rep. Eddie Rodriguez, and others. Regarding projections of diabetes rates in Texas. Road Meeting: Harlingen (audio only). Road Meeting: Houston (audio only). Joined by subcommittees of the House Committee on Redistricting and the House Committee on Judiciary and Civil Jurisprudence. Press conference regarding the practice by some young people of sending sexually-explicit photos via SMS text-messaging. Joined by Attorney General Greg Abbott. Road Meeting: Edinburg (audio only). Regarding a charter school for children affected by autism. Joined by Senator Patrick, Senator Van de Putte, and others. Road Meeting: Midland (audio only). Road Meeting: Amarillo (audio only). Due to technical difficulties, only audio is available for this hearing. Road Meeting: Dallas (audio only). Joined by subcommittees of the House Committee on Redistricting and the House Committee on Judiciary and Civil Jurisprudence. 08/31/10 Press Conference: Senator Eddie Lucio, Jr. Regarding implementation of &quot;Ashley's and Alicia's Law&quot; (HB 323, 80-R) relating to three-point seat belts on buses that transport schoolchildren. Press conference regarding the Tim Cole Advisory Panel's (TCAP) recommendations and Harris County's public defender office grant application. Road Meeting: El Paso (audio only). NOTE: Due to technical difficulties, the audio level is somewhat low during the inital 15 minutes. Regarding the upcoming Sales Tax Holiday for back-to-school items. Joined by Rep. Strama and others. Regarding Texas' emerging clean-energy economy. Joined by Rep. Strama and others. Road Meeting: Dallas (audio only). NOTE: Due to technical problems with the off-site microphone equipment, much of the initial 5:00 minutes is unintelligible. Additional equipment was set up, allowing witness testimony to be heard more clearly. Road Meeting: Arlington (audio only). Road Meeting: Fort Worth (audio only). Regarding the upcoming Sales Tax Holiday for Energy Efficient Products. Joined by Senator Fraser, and others. Road Meeting: Houston (audio only). NOTE: Due to technical difficulties, the audio begins directly following the roll call. Regarding the Sunset Advisory Commission report on Capital Metro. 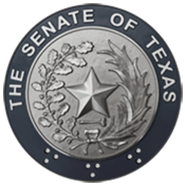 Regarding predatory lending practices in Texas. Regarding Federal healthcare reform legislation and subsequent litigation. Regarding an ongoing dispute with, and the practices of, the Texas Commission on Environmental Quality.